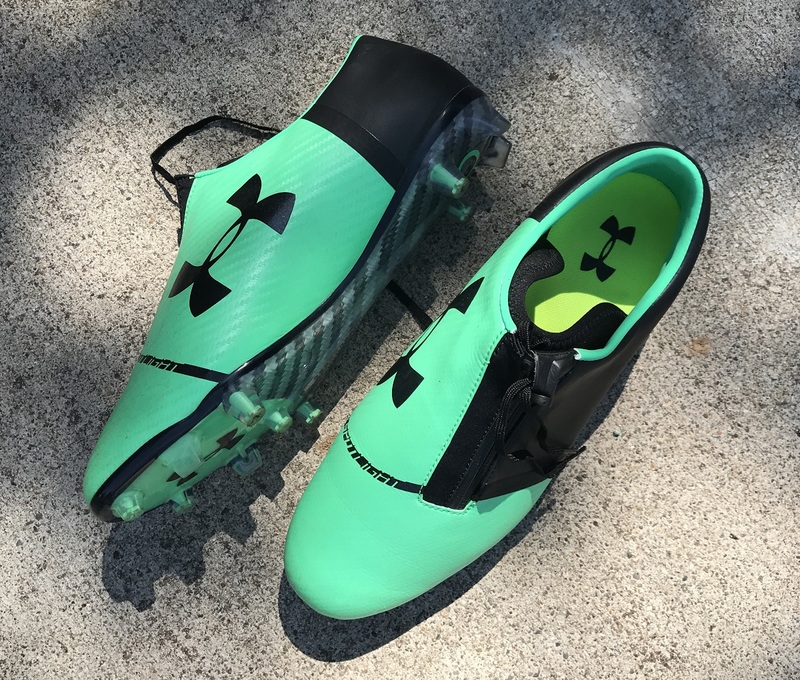 Under Armour are no strangers to pushing boundaries and creating functioning boots with new age designs. 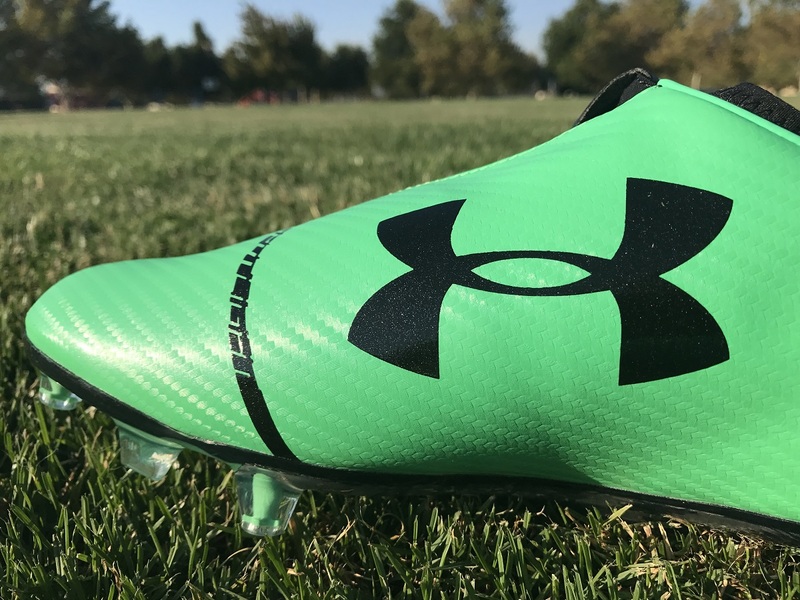 Their latest release, and one they hope continues their positive trend of late, is the second generation UA Spotlight. What is it that makes these just a little different? Well, it is the zipper located down the lacing panel of course! “A ZIPPER”, I hear you scream. Yes, you heard me correctly. Just off-center, along the region where a tongue would normally sit is the same style zip you would find on your winter jacket. 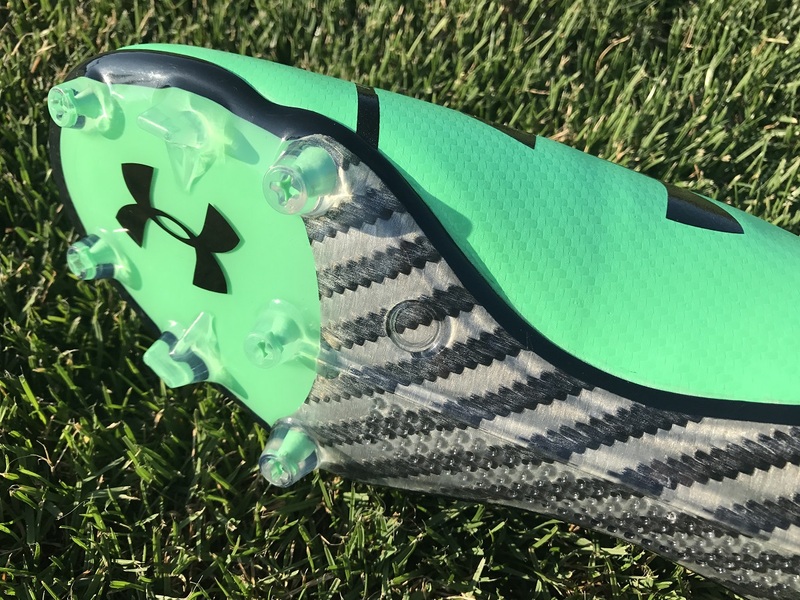 In this instance, though, Under Armour has gone to extensive lengths testing a design that serves a functional purpose on the Spotlight. 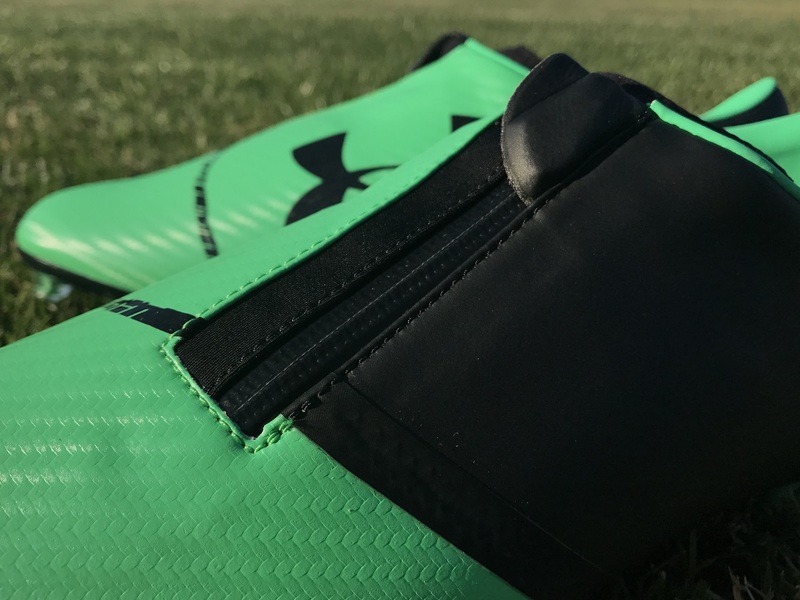 Back in January, we were introduced to a prototype version of the boot that featured a BOA style system under the zipper. For those who are not familiar with BOA, it is a tightening system that using a dial to set the desired tightness of the fit. 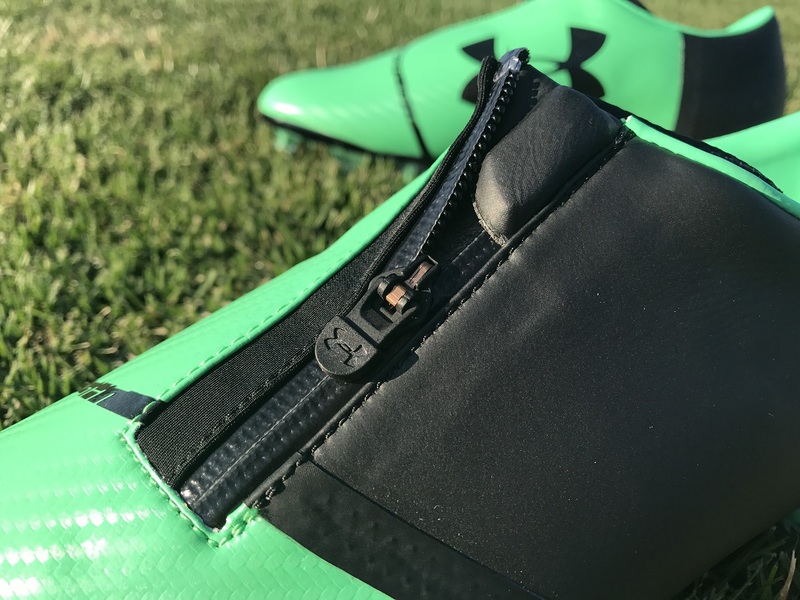 It obviously didn’t work and UA decided to tone down the design while keeping the zip in play. 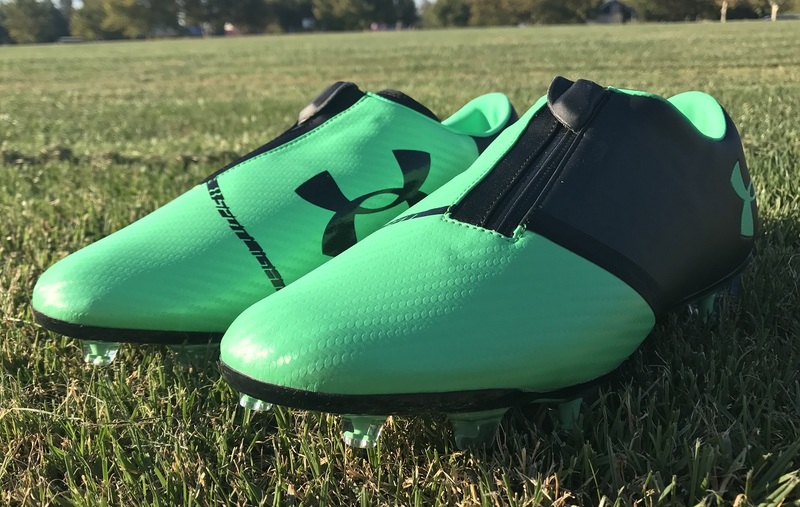 Check out the current UA Spotlight line-up at soccer.com. The Zip starts at the ankle lining, pull it down to unzip then pull it back up to zip. When you open it up, you will find an inner cage system in play as well as lacing. yes, there are laces on this boot that allow you to dictate the actual fit. You are not dependent on a zipper keeping you locked in. Do You Feel The Zip While Striking Shots? The answer is a resounding no. First, it is off center and runs along a region that you really should not be using while connecting with the ball. Lets say, though, that you are reaching for a ball and it knocks off the lacing. Again, you won’t feel it there. UA has addressed any pending issues by adding a proper layer of padding underneath the zipper area. The actual zip handle sits underneath a protective flap, keeping it hidden in play. What I like about the zip handle is that it always snaps to the “down” position against the surface of the boot. In other words, after you zip the boot, the little handle you pull it with will not sit up facing the ball, it always snaps back down. That depends who you ask. 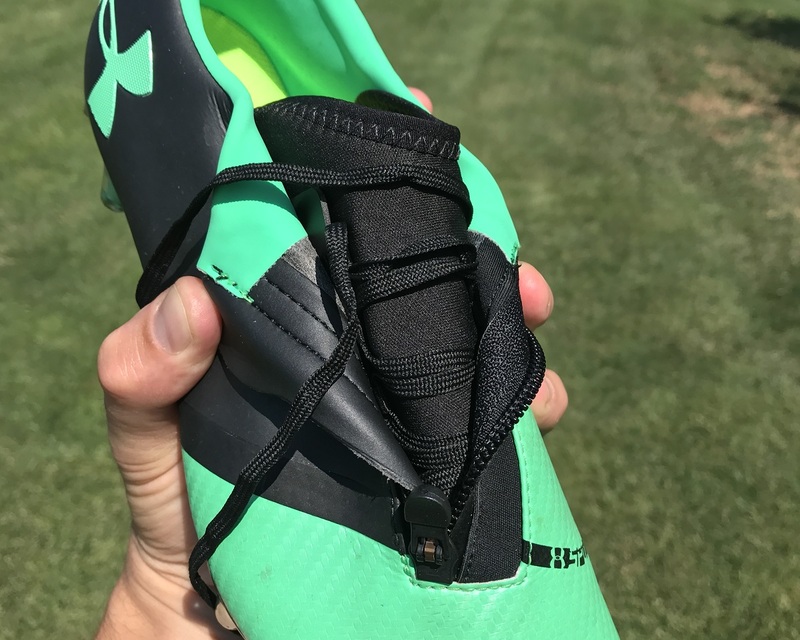 The naysayers will ask “why put a silly zipper on a boot?”, the other half will be impressed that you can have hidden laces that are more functional and can be reached in all situations. I’m with the latter, I like the design and I’m impressed with how easy it is to get to the laces. 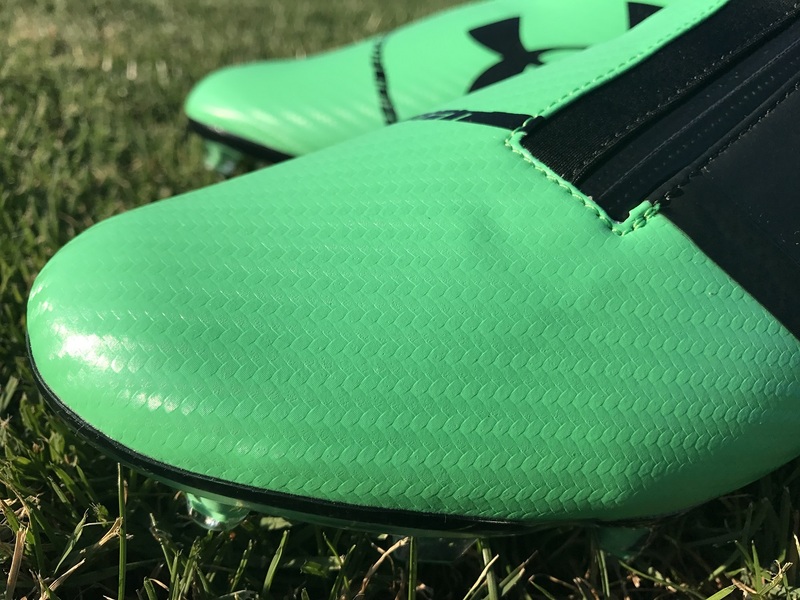 It is something that a lot of adidas fans have pointed out with the likes of the Purechaos series, where it is tough to get to lacing deeper in the boot. And from my experience, it doesn’t prove problematic when it comes to touch or power, so why not have it there for players that want it. The only issue I can see with them is the zipper breaking, but from my initial experience with them it seems very durable. What Category Do They Fall Into? The bizarre category? I’m kidding , they fall into a definite hybrid category with no set identity. You can’t label them as a speed boot as they clock in at just over 9oz. They are not a control boot as they have a pretty smooth synthetic forefoot. There is no power element included. If anything, they are more geared toward agility as they combine a minimalist upper with a more complex soleplate. 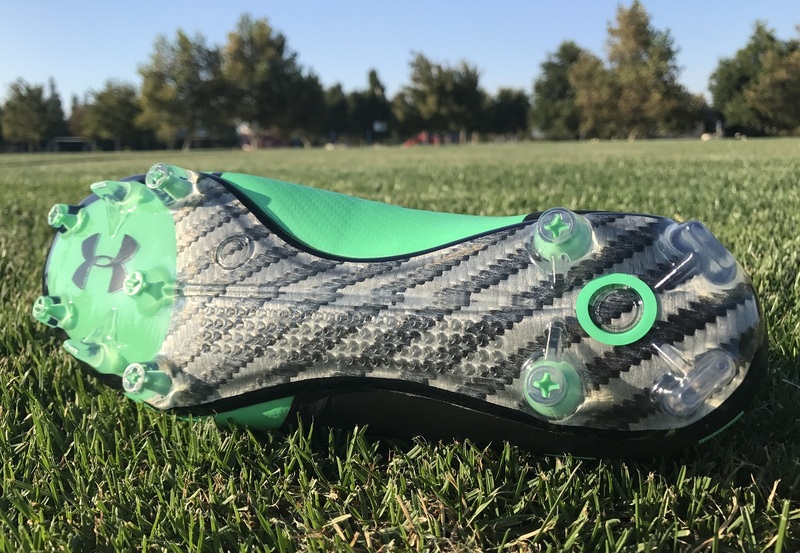 Underfoot, you will find a glass composite soleplate with innovated speed stud placement, intended to provide a responsive and explosive first step and plenty of traction. It proves slightly stiff starting out and it will take a wear or two for the slightly thicker, almost semi-rounded soleplate to loosen up but it is part of the investment. Like any boot with a new style, it might take some players time to adjust to what is on offer. Overall, I’ve enjoyed wearing them but there are one or two things to note. Back to the soleplate; it does prove to be stiff starting out and I wasn’t fully comfortable in them until the second or third wear. And the addition of a zipper means you are pretty restricted inside the boot with not a whole lot of additional stretch. The fit you get when you lace/zip them up for the first time is what you can expect! If you do decide to invest in a pair, you can find them listed at soccer.com for $219.99. This is on par with the first generation release in the series, so UA has worked on developing without increasing the price. Always a bonus considering the current state of the market. To date, two colorways have been released, but more are expected to follow as the season kicks in.